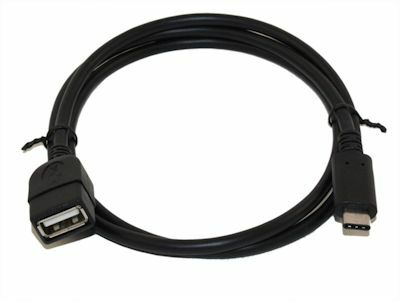 The USB 3.1 standard introduced the new symmetrical/reversible Type C connector. The new connector is only slightly larger than the older mini and micro Type B connectors, which means that it can be used on mobile devices, replacing the existing use of mini or micro connectors. 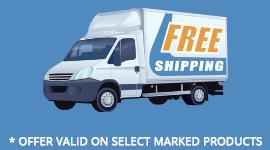 Also, unlike the earlier use of different connectors for the host (Type A) and peripheral (Type B) devices, the Type C connector is often used at both ends. Best of all, the Type C connector is symmetrical/reversible, which means no more fumbling around to figure out which side is supposed to be on top. Just grab the Type C and plug it in! 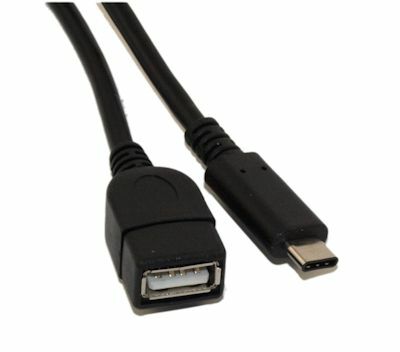 This USB 2.0 cable features a USB Type C male connector at ONE end, and a legacy USB 2.0 Type A Female connector at the OTHER end.